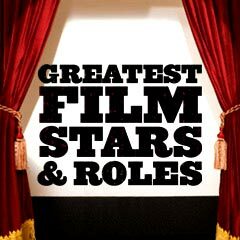 Greatest Film Stars - Their Greatest Roles and Filmographies (see index below) contains a selected sampling of the starring roles that best define the screen presence or persona of some of the greatest stars of the American cinema. The definitive screen role is often the one for which the actor or actress is best-remembered. In some cases, some actors/actresses - over a long, prolific career - have had more than one exemplary or essential example of their acting portrayed in films. are identified by a yellow star . An extensive listing of the starring (and definitive roles) for many of the greatest stars of the American cinema, including many lesser known actors and actresses. 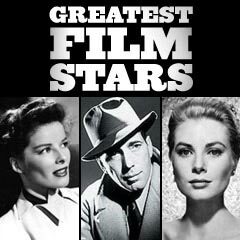 100 Greatest Film Stars of All-Time A Definitive Look at the 100 Greatest Film Stars (50 male, 50 female) of Hollywood Legend. 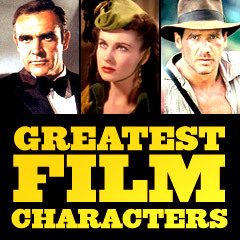 Greatest Film Characters of All-Time Hundreds of Greatest Movie Characters (illustrated, unranked, in alphabetical order). 100 Best Female Character Roles The 100 Best Female Character Roles (Movieline Magazine in their April, 1997 issue), in two parts. AFI's Greatest Film Star Legends America's Greatest Film Star Legends (50 total, 25 men and 25 women), selected by AFI in 1999. 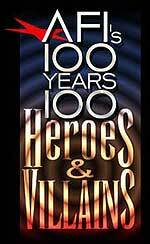 AFI's Greatest Heroes and Villains America's 100 Greatest Good and Bad Guys/Gals (50 of each), selected by AFI in 2003. 100 Greatest Movie Performances of All-Time The 100 Greatest Movie Performances of All-Time (Premiere Magazine in their April, 2006 issue), in four parts.